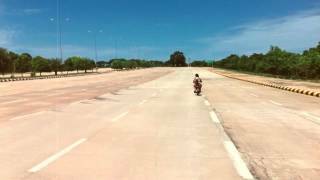 N 19° 44' 42" and E 96° 7' 47"
Nay Pyi Taw in Nay Pyi Taw (South) (Nay Pyi Taw) with it's 925,000 citizens is a place in Myanmar. It's the capital of this country. Current time in Nay Pyi Taw is now 03:46 AM (Tuesday). The local timezone is named Asia / Yangon with an UTC offset of 6.5 hours. We know of 9 airports near Nay Pyi Taw, of which one is a larger airport. The closest airport in Myanmar is Naypyidaw Airport in a distance of 10 mi (or 15 km), South-East. Besides the airports, there are other travel options available (check left side). While being here, you might want to pay a visit to some of the following locations: Loikaw, Magway, Taunggyi, Mae Hong Son and Khun Yuam. To further explore this place, just scroll down and browse the available info. Let's start with some photos from the area. Krótki film o ruchu ulicznym w stolicy Birmy, Naypyidaw. Więcej na www.wteiwewtamte.pl; Short movie about traffic in capital of Burma, Naypyidaw. 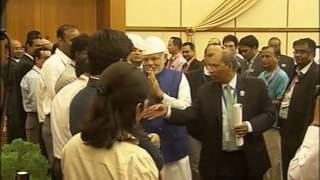 The Prime Minister, Shri Narendra Modi meeting the members of the Indian Community, in Nay Pyi Taw, Myanmar on November 13, 2014. 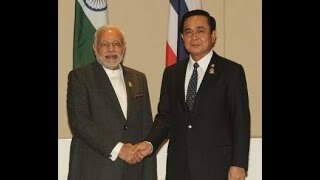 The Prime Minister, Shri Narendra Modi meeting the Prime Minister of Thailand, Gen. Prayut Chan-o-cha, at Nay Pyi Taw, Myanmar on November 12, 2014. The Prime Minister, Shri Narendra Modi meeting the President of Indonesia, Mr. Joko Widodo, in Nay Pyi Taw, Myanmar on November 13, 2014. BMX Training for 27th SEA Games. 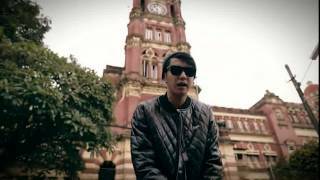 Pyinmana is a logging town and sugarcane refinery center in the Mandalay Region of Myanmar. 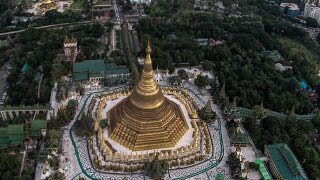 The administrative capital of Myanmar was officially moved to a militarized greenfield site (which the leader, Than Shwe, dubbed Naypyidaw, or Royal City) two miles (3.2 km) west of Pyinmana on November 6, 2005. Pyinmana is approximately 200 miles north of Yangon. Located at 19.75, 96.2 (Lat. / Lng. ), about 5 miles away. Naypyidaw International Airport, (Burmese: နေပြည်တော် အပြည်ပြည်ဆိုင်ရာ လေဆိပ်; previously known as Ela Airport, officially Nay Pyi Taw International Airport), is located 16 kilometers southeast of Naypyidaw, the capital of Burma(Myanmar). Before the foundation of Naypyidaw, this was referred to as the airport of the nearby town of Pyinmana. The airport officially opened on 19 December 2011. Located at 19.6191, 96.1999 (Lat. / Lng. ), about 10 miles away. The National Herbal Park (Burmese: အမျိုးသား ဆေးဖက်ဝင် အပင်များ ပန်းခြံ) is a 200-acre park located near the Naypyidaw-Taungnyo Road in Naypyidaw, Myanmar. Over 20,000 herbal and medicinal plants, representing over 700 species from the various states and divisions of Myanmar, are grown in the park. The herbal park is part of the government's efforts to protect and preserve the herbs from depletion and extinction and to keep alive the country's traditional system of medicines. Located at 19.7495, 96.1079 (Lat. / Lng. ), about 1 miles away. The Naypyidaw Water Fountain Garden (Burmese: နေပြည်တော် ရေပန်း ဥယျာဉ်) is a garden in Naypyidaw, Myanmar. The 165-acre garden is situated near the Naypyidaw City Hall with a steel structure arch-way. Also included in the garden are a main pond with three fountains inside and 11 small ponds with 13 different fountains inside, a 30-foot high clock tower, nine recreation centres, two small gardens, two stone gardens and ten feet wide buggy road and footpaths. Located at 19.7336, 96.1168 (Lat. / Lng. ), about 1 miles away. Uppatasanti Pagoda (also called the "Peace Pagoda") is a prominent landmark in Naypyidaw, the new capital of Burma. The pagoda, which houses a Buddha tooth relic from China. It is nearly a same-sized replica of Shwedagon Pagoda in Yangon and stands 99 metres tall. Located at 19.7712, 96.183 (Lat. / Lng. ), about 4 miles away. 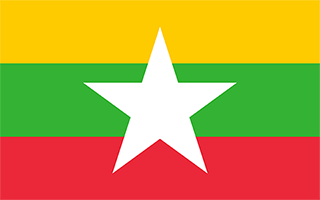 The Assembly of the Union is the national-level bicameral legislature of Myanmar (officially known as the Republic of the Union of Myanmar) established by the 2008 National Constitution. The Pyidaungsu Hluttaw is made up of two houses, the Amyotha Hluttaw (House of Nationalities), a 224-seat upper house as well as the Pyithu Hluttaw, a 440-seat lower house (House of Representatives). Located at 19.7668, 96.1001 (Lat. / Lng. ), about 2 miles away. These are some bigger and more relevant cities in the wider vivinity of Nay Pyi Taw. These are the most popular locations in Myanmar on Tripmondo.